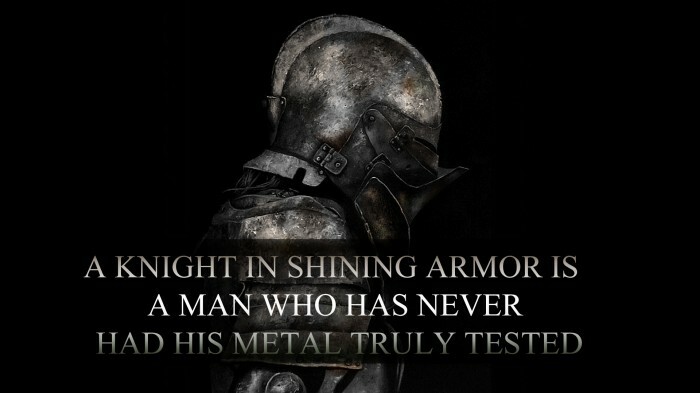 If ya don’t know the difference between “metal” and “mettle”, ya prolly shouldn’t try to make captioned pics. Eejit. Are you sure it isn’t a play on words? That’s how I interpreted it. It’s a play on words. I’ve seen this same quote in a lot of different places/sites. You have a lot more faith in random idiots that caption images on the interwebz than I do. Or he knows a really good body guy….